UPC Codes — Do You Need Them? One of my Idaho Gifts Wholesale vendors emailed me last week to ask about UPC codes — Did he need them? Where to get them? With all the changes going on in the marketplace — especially since we are digitizing more and more (even at the retail/wholesale level) — figuring out how and if to use UPC codes is becoming more common place, thus a bigger concern to small producers. A classification for coding data onto products by a series of thick and thin vertical lines. It allows retailers to record pertinent data such as the model number, size, color, etc. when an item is sold, and to store or transmit the data to a computerized data system to monitoring unit sales, inventory levels, and other factors. If you are selling products directly to customers (on your website, private events, etc.) – you don’t need it. If you are selling wholesale to small boutiques – most likely you will not need it (unless they specifically ask for it you don’t need to offer it). If you are selling to a big retailer/distributor such as a big department store or any major national retailer – you will most likely need to have UPC codes; HOWEVER, check with the retailer first if you are required to have them. Major retailers will provide you with their shipping guide along with their order where this info will be included and if not you can always ask your buyer. When we first inquired about UPCs with our gourmet food business, costs to obtain a group of codes was very expensive. (If I remember correctly, it was $150/year (or more) and then $750 for 100 codes …. but then that was over ten years ago!). Thankfully, the system has changed since then and cheaper alternatives are available. Next post, we will explore the many places you can buy UPCs — reasonably! I will also post some tips shared in our Selling to Retailers’ Mastermind Group on bar codes. 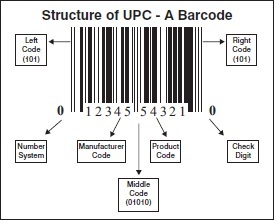 Tags: Human B Universal Product Code UPC Codes -- Do You Need Them? We struggle with finding a user friendly system to use for our barcodes. It has been a nightmare. So sorry to hear that Daniel. I hope my second article on UPC codes was helpful to you!